Juan Mata has spoken of his desire to play professionally until the age of 40, by utilising his technique and intelligence, just like Manchester United legend and former team-mate Ryan Giggs. The 30-year-old Spaniard has registered over 200 appearances for the Reds and, when factoring in his former clubs Chelsea, Valencia and Real Madrid Castilla, his tally of senior outings exceeds 500. Giggs famously surpassed 1,000 matches for club and country, which Mata remains in awe of. And while that number is probably insurmountable, Juan hopes his career has another 10 years to run. Speaking during an in-depth interview for the February edition of Inside United magazine, which is on sale from today, Mata is quoted: "I would love to play until I am 40 like Giggsy did! The February 2019 edition of Inside United magazine includes a massive interview with Juan Mata. "I feel good, mentally and physically. And with more experience you understand the game better so you can position yourself in better situations and you can make better decisions when you have the ball, and when you don't have the ball, so you can make up for your natural physical progression. "For me, football is played with the feet but it's also played with the mind and in your head. I try to be as focused as I can with my brain to make the right decisions, and playing like that I think I can play still for some years and that's my aim. "I am enjoying it a lot and I will try to push it as much as I can and I'll try to catch Giggsy in years! In games it's difficult because he's played over a thousand or something, but in years I can try." 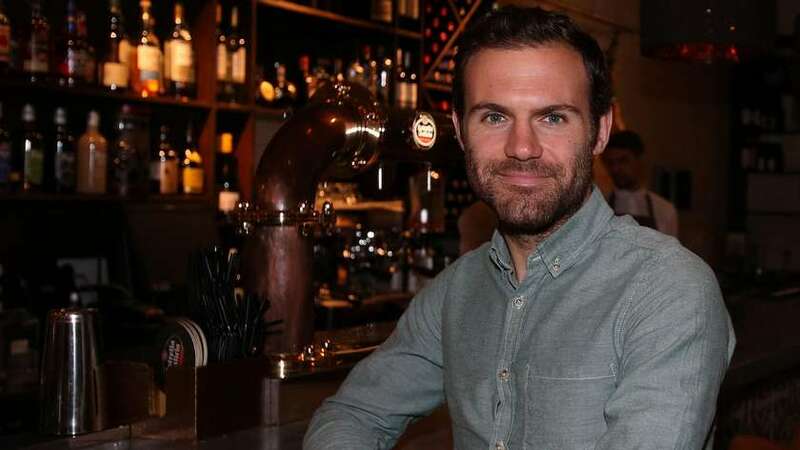 Our conversation with Mata took place at his Deansgate-based restaurant, Tapeo & Wine, which he recently opened with his father in an effort to bring a part of Spain to Manchester. He is not the first United footballer to move into the food business, either, as he is well aware. "Rio Ferdinand has got his restaurant, and I think Gary Neville has a few," said Juan. "I don't know what it is, but I think it's a nice thing to do. This is more of a family thing and my dad's thing; I come here more to help him and support him, or tell them my opinions on what I feel can be done in here. "I am focused on my career, I am focused on football, but I know it's nice that my dad had this idea. The people who are running it, they are very nice people, which is very important. They come with the passion of feeling like a family and I think that's very important. So it was my dad's creation, my dad's idea, but I am here to support him." Now in his sixth season at United, Mata is clearly an adopted Mancunian and a confirmed Anglophile. When he's asked what lies behind his love for our city and all that it has to offer, he cites one reason in particular. "I would say the people," Juan said. "The people in Manchester are what makes this city special. Obviously, the rivalry between Manchester United and Manchester City is quite big, but everyone I find in the street, in the restaurants and everywhere, they are warm and welcoming and open. "They are very friendly and that's what I like about Mancunians. Manchester is a very friendly city and it's very nice to feel that."